We finally have our first footage of Ruby Rose as Batwoman. The character is set to make her live-action debut in the upcoming Arrowverse crossover, Elseworlds. We've known for some time that Batwoman would be a part of the event, but up to this point we've only seen a few images. Now, we not only see her in action, but we get our first introduction to the Arrowverse version of Gotham City, as well as another very significant name drop. "You don't believe in Batman?" That's how this teaser kicks off, making it instantly the most significant teaser released for the upcoming crossover event yet. The Caped Crusader has been avoided, though exhaustively referenced (never by name), within this universe up to this point but Elseworlds is finally going to address the most popular character in all of DC. That doesn't mean he's going to actually appear, but we get the next best thing. Or, depending on how you think about it, possibly an even better thing in the form of Ruby Rose as Batwoman, who is the main focus of this teaser. We don't quite get to see Batwoman in action, but we see her dropping down onto the street rather heroically and looking effectively stoic. The Bat Signal is there to herald her arrival, with Green Arrow (the role-swapped Grant Gustin version) and Cisco (Carlos Valdes) looking upon the caped figure in surprise, with the man formerly known as The Flash remarking, "That's not Batman." We had seen Ruby Rose in photos, but seeing her in actual footage is an entirely different animal and it looks like she's certainly got the presence needed to bring Batwoman to life. This event is going to turn the entire Arrowverse on its head. As we've seen in previous teasers, Barry Allen and Oliver Queen are going to be switching lives and roles as The Flash and Green Arrow, respectively, while Supergirl is locked up in a meta-human prison and being treated like a criminal by her own sister. Add into that a DC universe in which Batwoman, not Batman, is the primary hero of Gotham City and Elseworlds becomes must-watch TV for fans. Not to mention Tyler Hoechlin's Superman in his black suit and Elizabeth Tulloch making her debut as Lois Lane. To say the least, a lot is going to happen next month. The network hopes they can use this event as a launching pad to give Ruby Rose her own Batwoman series, which would permanently cement Gotham City within the Arrowverse. Even though the Legends of Tomorrow are sitting this one out, there's going to be more than enough going on to keep this event interesting. The Elseworlds madness gets started on Sunday, December 9 with The Flash, continuing on Monday, December 10, with Arrow and concluding on Tuesday, December 11, with Supergirl. 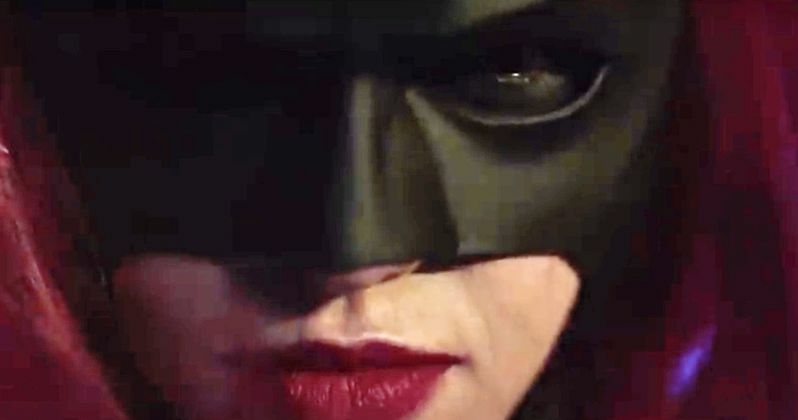 Be sure to check out the new teaser featuring the first footage of Batwoman from The CW YouTube channel below.